Is your security team overwhelmed and under-resourced? Find out how you can extend your team and improve your cybersecurity posture with Proficio’s award-winning SOC as a Service. Proficio pioneered offering fully managed, co-managed and hybrid or custom Security Operations Center (SOC) as a Service. Our comprehensive SOC-as-a-Service offering was the cybersecurity industry’s first cloud-based SOC providing detection, protection and automated response. With SOC as a Service, our clients enjoy actionable intelligence and complete visibility into their environment, allowing for a dramatically improved security posture. Proficio’s always-on SOC as a Service incorporates powerful coverage by CrowdStrike, a leader in cloud-delivered endpoint protection. The combination of our SOC as a Service and CrowdStrike’s software provides a complete and up-to-date service that makes it easier for enterprise customers to keep business-critical data safe and secure using the technology, people and processes that best meet their needs. 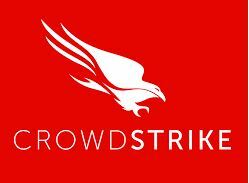 Through the CrowdStrike partnership, CrowdStrike alerts are sent to Proficio’s SOC locations, where the endpoint event data can be correlated with other relevant log sources. Our experienced SOC analysts then review and investigate the alerts, providing additional context and prioritizing the alerts for response. An intuitive dashboard allows our clients to view their security posture and the status of these threat investigations in near real-time, while receiving relevant and accurate alerts from a single point of notification. Proficio provides comprehensive SOC coverage anywhere in the world that provides our clients with uninterrupted, 24/7/365 coverage. Cyber criminals never rest from trying to gain access to your secure systems and your most sensitive customer data. In order to maximize your cybersecurity, your company should employ 24/7 security operations that are on guard around the clock. Proficio’s SOC as a Service provides unmatched cybersecurity coverage that monitors, detects and responds to threats so you can rest assured that your information is safe. See how outsourcing your cybersecurity using Proficio’s SOC as a Service can extend your team and improve your organization’s cybersecurity posture.